Hey let’s do both baths. 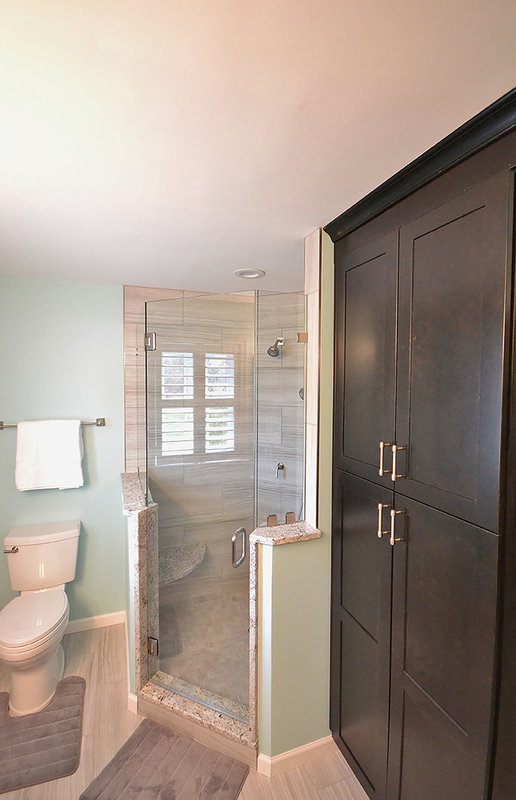 We remodeled both the master and hall bath in this West Chester home. 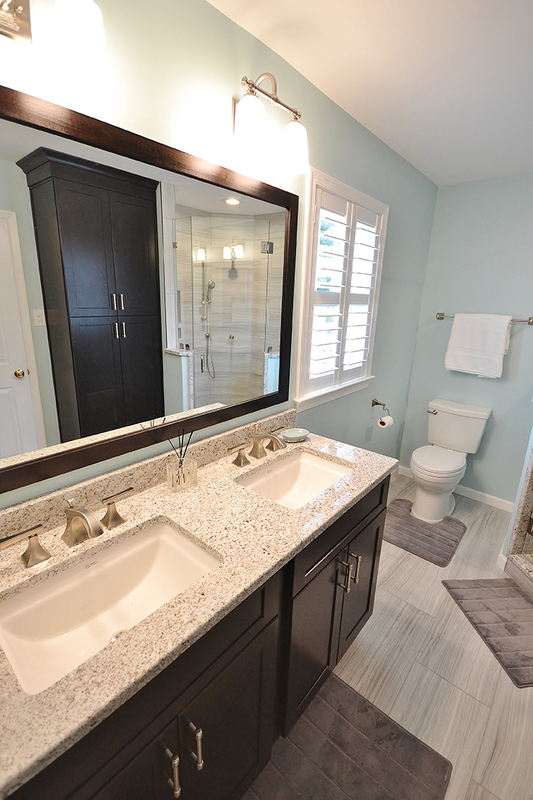 The original master bath was a carpeted vanity area with a separate tub/shower fiberglass insert and toilet room. We removed the wall between the 2 areas and designed a new bathroom with a larger tiled shower with frameless glass surround. We installed new Fabuwood cabinetry in the Galaxy door style in Espresso finish; adding a linen closet cabinet for extra storage. 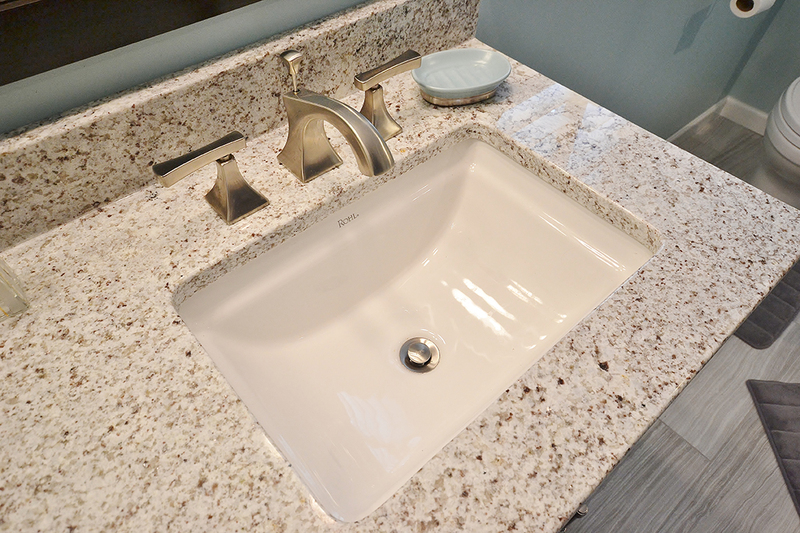 The new Andino White granite countertop and shower wall caps and seat really look great with the Rohl vanity bowls, sink and shower fixtures, and accessories. 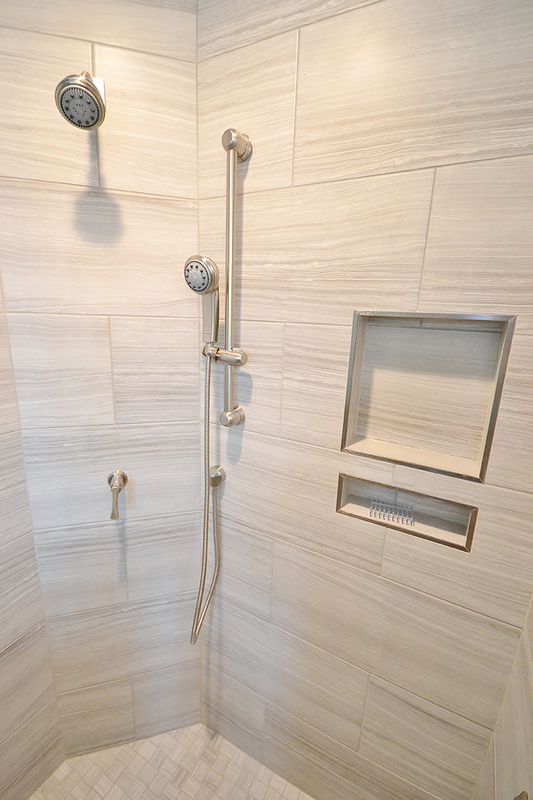 The large format 12×24 tiles in the shower and the floor provide a clean simple feel. The bright paint gives great contrast and really makes it all pop. The hall bath was fully remodeled as well. 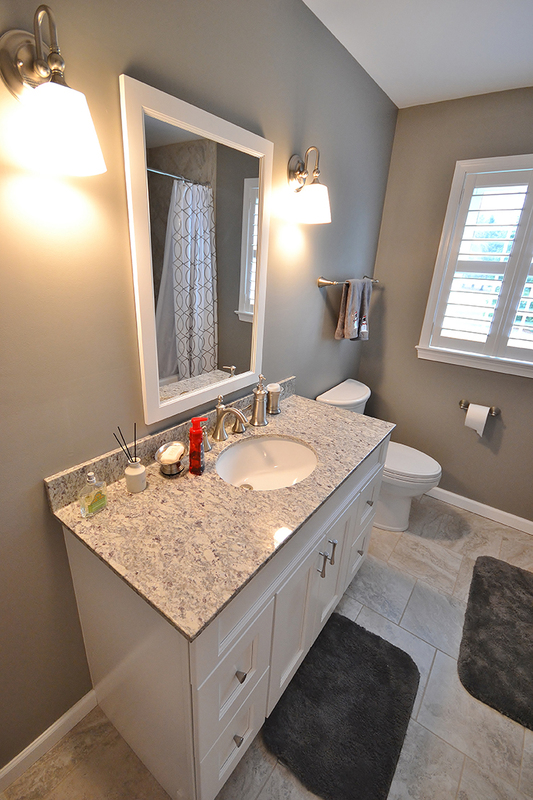 New tub, vanity, tile, paint, and fixtures. The Fabuwood Nexus Frost vanity was centered to give a more furniture look. 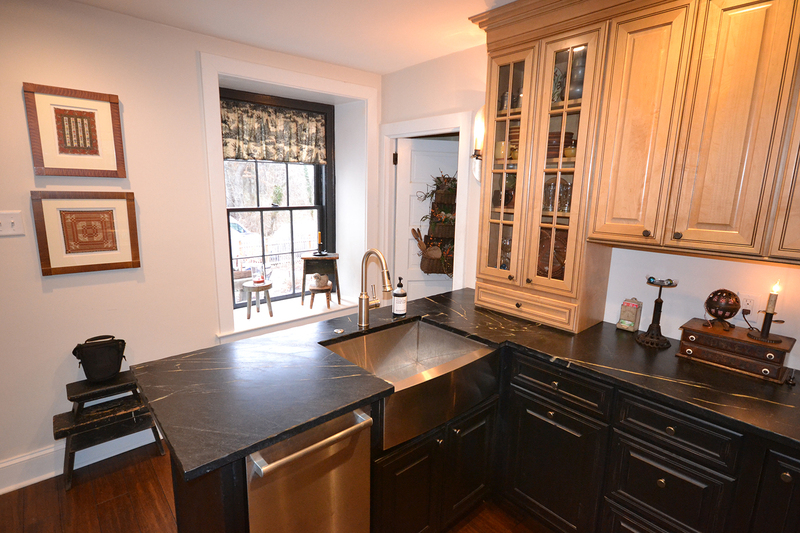 The vanity top is a stock prefabricated granite top by Wolf in Luna Bai; a great inexpensive choice for the higher end look. 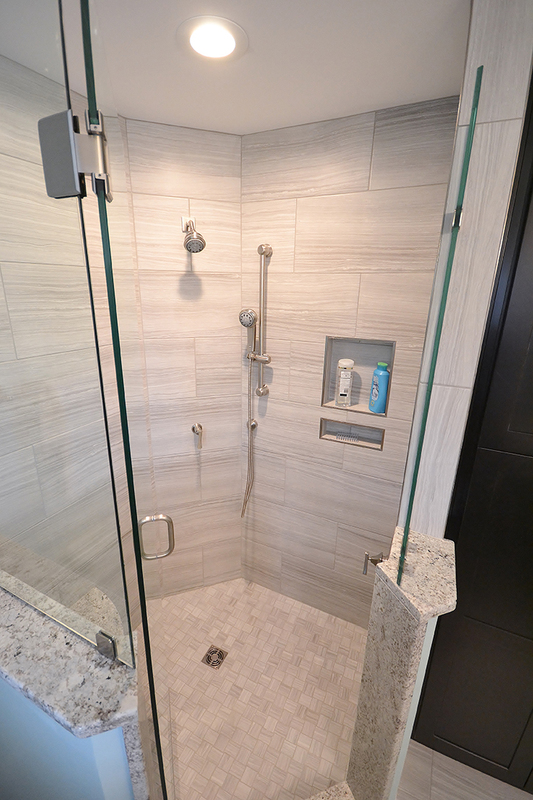 The shower was done with 6×6 tiles on a diagonal with glass and brushed nickel trimmed corner shelves. 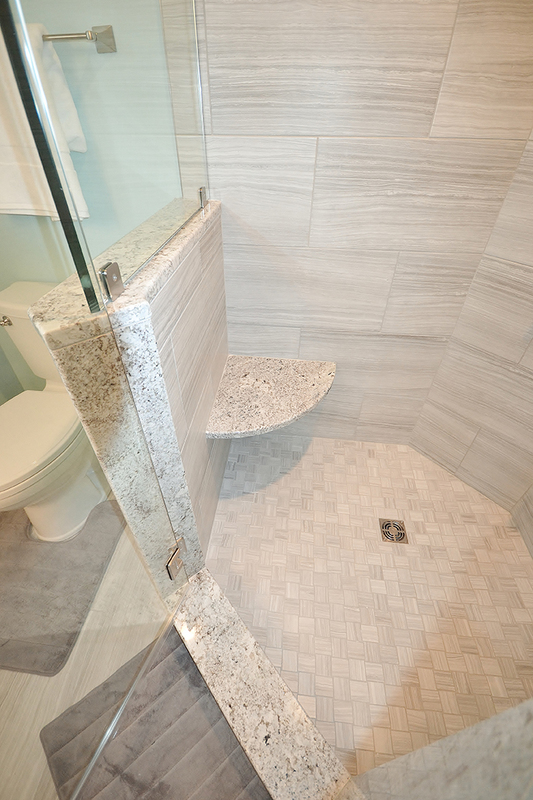 The bowed shower curtain rod is a great way to get extra room inside a tub/ shower. 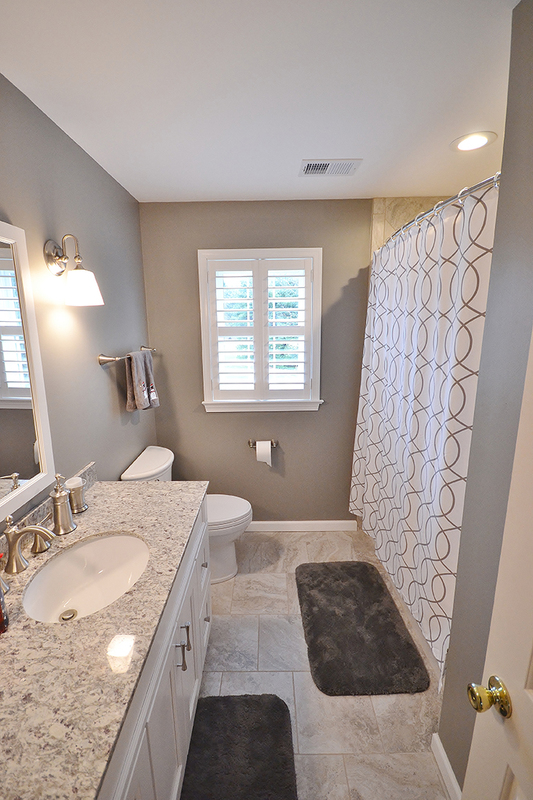 All together 2 sharp looking remodeled baths both with great color and product selections. 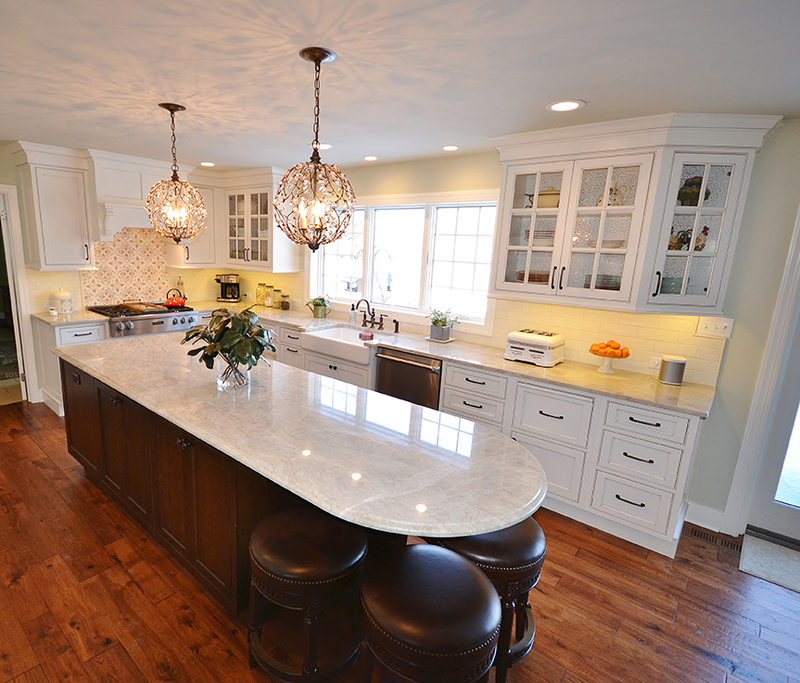 Small Kitchen w Lots of Charm It takes a team to build a kitchen!